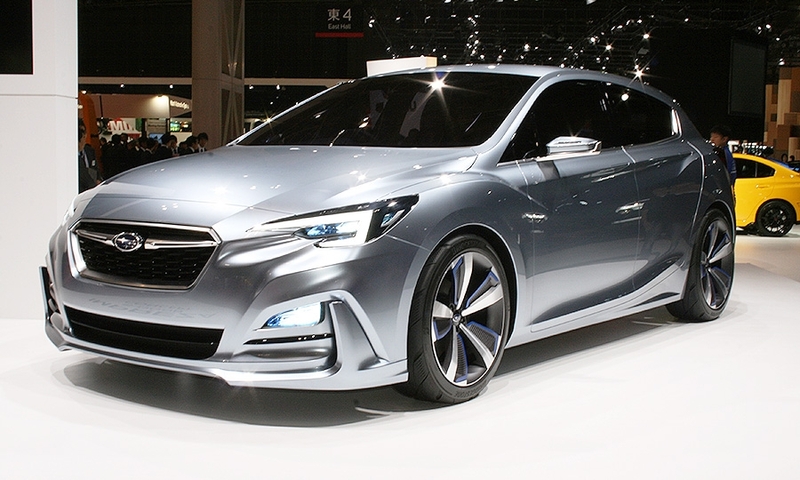 Subaru's 5-door Impreza concept: A new platform and design language. 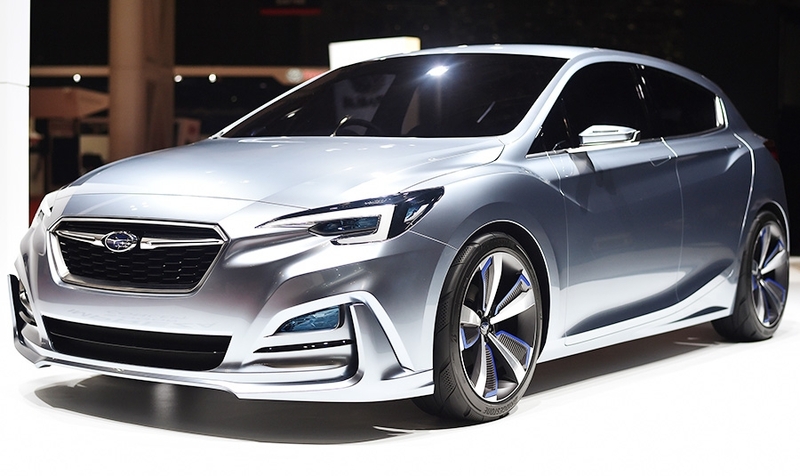 Subaru also rolled out another concept, the Viziv (VEE’-ziv) crossover, which is equipped with semi-autonomous features due in 2020. The five-door Impreza will be joined by a four-door sedan concept that’s expected to be shown at the Los Angeles Auto Show in November. The two cars are redesigns of the current Impreza range, and both will be built for the first time at Subaru’s factory in Indiana. 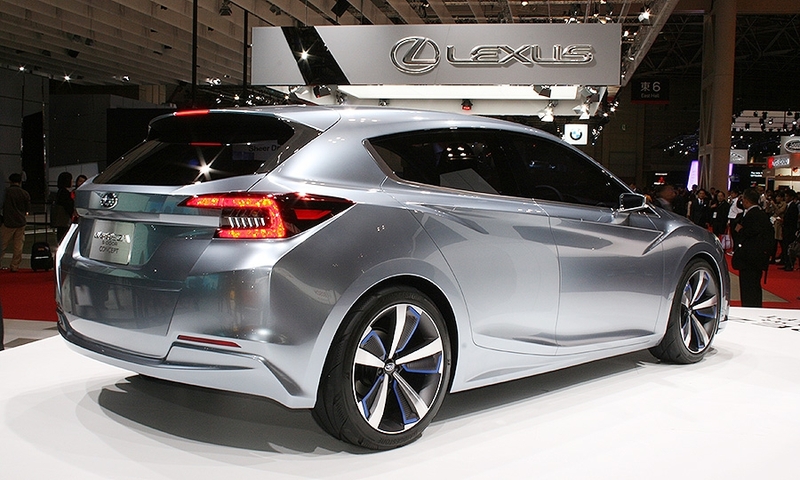 The Imprezas are expected to go on sale in late 2016. 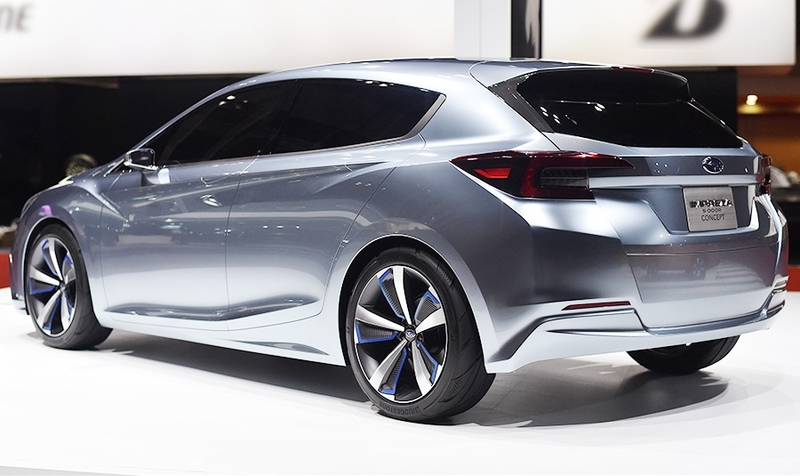 The Impreza concept shown here embodies “luxury feeling beyond its class, pointing to the future direction of not only Impreza but Subaru design as a whole,” the company said in a release. A single, sharp line runs from the front fender through the doors and into the rear shoulder, noted Atsushi Kochi, chief designer for Subaru. In contrast to the current model, the rear is softer and not as boxy, he said. The same new design language appears on the concept Viziv, a compact crossover that won’t be produced, according to Subaru executives. 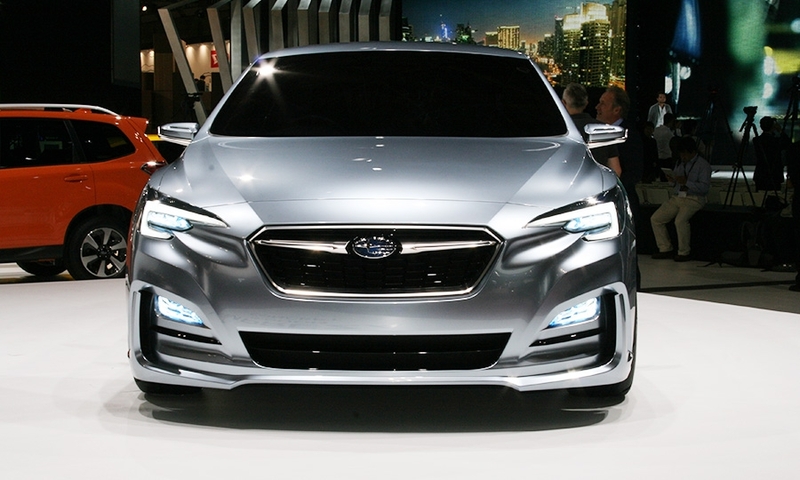 The Viziv demonstrates a variety of next-generation Subaru technologies that will be on the market in five years. Those include a new generation of semi-autonomous driving features that use an advanced version of the current EyeSight stereo camera system. The upgraded system relies on all-direction radar, high-accuracy GPS and map data to “pinpoint the vehicle location with high precision,” Subaru said. With the data, the vehicle can be guided through curves. The car can be driven semi-autonomously and pass another vehicle in front “at all speeds on expressways,” Subaru said. It also can park automatically. The Viziv is equipped with a new generation of the electric motor used on today’s Subaru XV Crosstrek hybrid. The electric motor is mated to a new-generation downsized turbo engine. Subaru didn’t disclose the exact engine size, but currently a 1.6-liter four-cylinder Boxer engine is its smallest powerplant. Subaru and other Japanese automakers are targeting 2020 as the year their autonomous vehicles will be road-ready in part because the Japanese government is urging them to showcase the technology at the summer 2020 Tokyo Olympic Games.